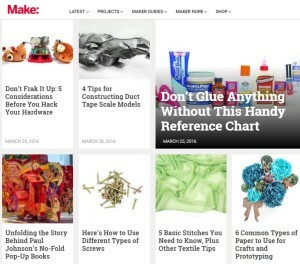 Make Magazine ran an awesome section in their April/May edition (Vol. 50) highlighting basic for more than 60 fundamental skills makers should master. From working with metals, woods, fabric, and paper to what kids of glues, screws, and drill bits to use for projects. They even cover safety measures and what to do when accidents happen. Check it out either via this link, http://makezine.com/tag/make50/, or come into Mancos Library and borrow our copy of Make (in the Teen Space).